Dimensions 1.75 by 5.50 by 8.50 in. Amazon.com description: Product Description: Collected by the editor of the award-winning Lightspeed magazine, the first, definitive anthology of climate fictionâa cutting-edge genre made popular by Margaret Atwood. Is it the end of the world as we know it? Climate Fiction, or Cli-Fi, is exploring the world we live in nowâand in the very near futureâas the effects of global warming become more evident. Join bestselling, award-winning writers like Margaret Atwood, Paolo Bacigalupi, Kim Stanley Robinson, Seanan McGuire, and many others at the brink of tomorrow. Loosed Upon the World is so believable, itâs frightening. 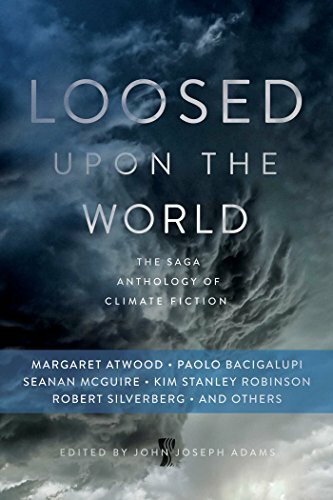 About: Collected by the editor of the award-winning Lightspeed magazine, the first, definitive anthology of climate fiction—a cutting-edge genre made popular by Margaret Atwood.